This line of thinking resonates for many throughout the country who believe America needs to begin focusing on manufacturing again. In an effort to do this, President Trump has engaged China in a tariff war over the past year. So far, the results have been mixed. Rogan then suggests that the majority of the population tend to look at the impoverished as the source of crime. As the conversation around poverty continues, Killer Mike suggests offers several ways in which the US could decrease its poverty rate. These include help for the mentally ill living in poverty as well as an option for socialized housing. One concept that emerged during this discussion is the thought of rentrification. This line of thinking suggests that those from lower classes who succeed should purchase property in the areas in which they grew up. The belief is that this would help build up the local economy and reduce poverty. 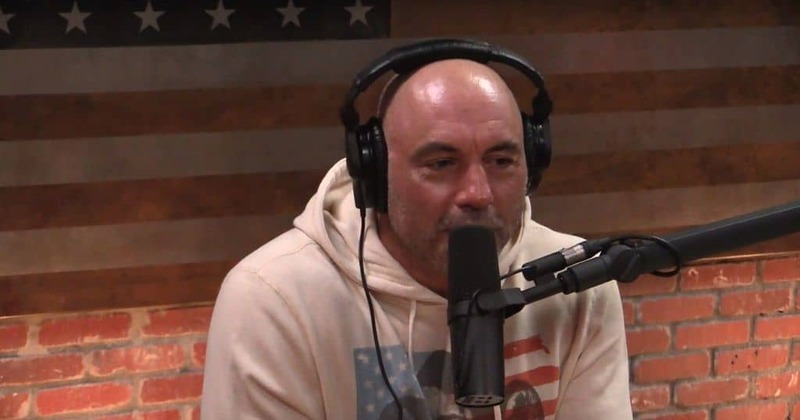 It’s at this point that Rogan turns the discussion to Bitcoin and cryptocurrencies. He bluntly asks Killer Mike, “How much attention are you paying to things like cryptocurrencies?” Speaking about cryptocurrencies, Killer Mike responds that he doesn’t know much about digital currencies, but rather focuses on putting money into the S&P 500s. For the first time during the podcast, Rogan himself talks directly about cryptocurrency. He shares with his listeners that the cryptocurrencies fascinate him. Rogan goes on to talk about decentralizing the economy and how much money is controlled by the banks. “If you just stop and think about what goes on with the Federal Reserve,” Rogan continued, “and what goes on with all the money. And how much the dollar is worth overseas…” It’s clear that Rogan is intrigued by the idea of decentralization and the possibilities that lie behind cryptocurrency. Rogan goes on to suggest that it would be nice if “there was a thing we could all rely on that wasn’t controlled by a group of people who have a vested interest in profiting off this pile of money.” He states that if something like that could gain mass adoption, the world would be a really different place. It’s at this point that Killer Mike unknowingly gives a pro-crypto response. He says that the world would indeed be a different place. There would be many differences. However, the key question is whether or not those in control would ever let something like that happen. Rogan furthers the discussion by saying that he believes a future with Bitcoin is inevitable. He compares the cryptocurrency to having the same staying power as the internet. Killer Mike counters with a bit of humor by suggesting that you can’t throw out crypto while you’re in the club. Rogan ends by suggesting that Bitcoin will eventually be like dollar bills. A piece of currency with gold lettering on it or something simliar. Interestingly, Rogan did not make much money in Bitcoin, although he could have. He’s known about the cryptocurrency for several ears and even tweeted out his Bitcoin address in 2014. Over 5 BTC has been sent to his address, which means he has (at the time of this article) more than $18,000 in his wallet. None has been spent which means Rogan is a BTC hodler.